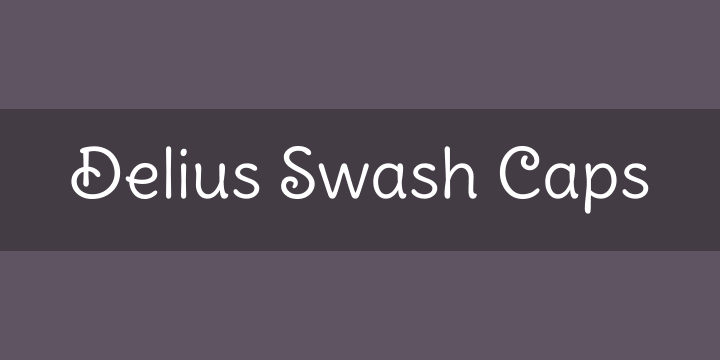 Delius Swash Caps is part of a high quality comic book lettering typeface super-family. It has special uppercase letters for special uses, such as in titles and logos. It has companion families, Delius and Delius Unicase.